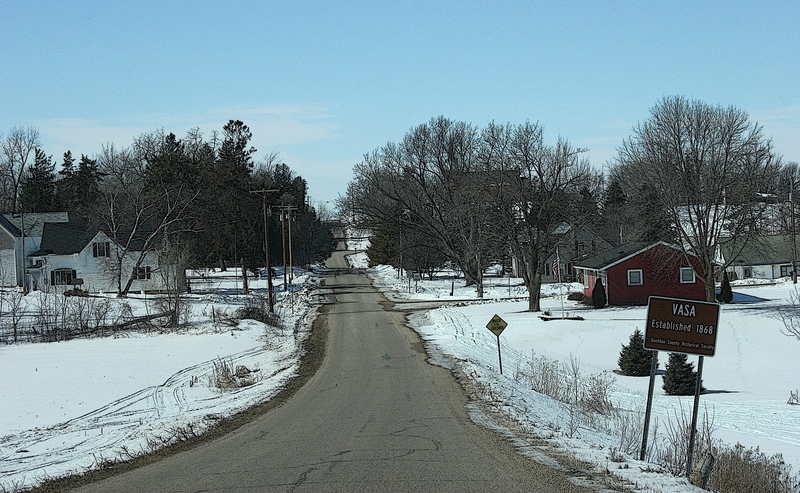 Driving into Vasa, established in 1868, according to a the historical marker, right. IT DOESN’T TAKE MUCH to draw me off the appointed route. Recently, a sign for a church soup luncheon caused my husband and me to veer off Minnesota Highway 19 near Red Wing into historic Vasa, established in 1868. We opted not to partake of the soup, although that was a tough call given my love of soup and church dinners. But we were under a time crunch with limited hours to get to Red Wing and back. So Randy and I did a quick drive through Vasa, named in honor of King Gustav Vasa, Swedish ruler from 1523-1560. Hans Mattson encouraged Swedish immigrants to settle here in this place originally known as Mattson’s Settlement. Several of Vasa’s old buildings. 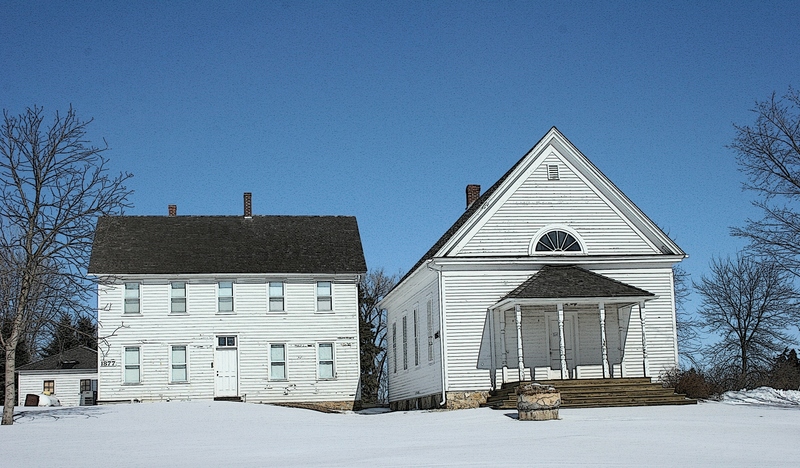 From an outsider’s perspective, there’s not much to the several blocks long Vasa—some houses, an abandoned creamery, by the looks of it a former schoolhouse or town hall, then Vasa Lutheran Church atop the hill with the Lutheran Center across the road. 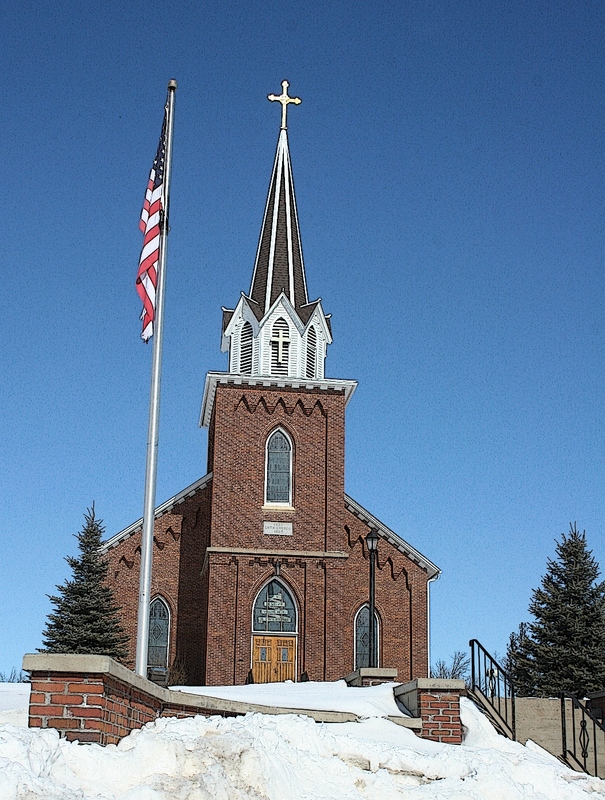 Vasa Lutheran Church, the congregation which started Lutheran Social Services, originally Vasa Children’s Home. Construction on this church building began in 1867 with dedication in 1870. Turns out, though, as I would later learn, that this seemingly obscure town along the highway is “the most intact and unchanged of the original Swedish colonies of Minnesota.” Vasa is designated on the National Historic Register as the Vasa Historic District with 19 structures of historical significance. I should have done my homework before we headed into Goodhue County. This street sign led me to investigate and learn about the Vasa Children’s Home. 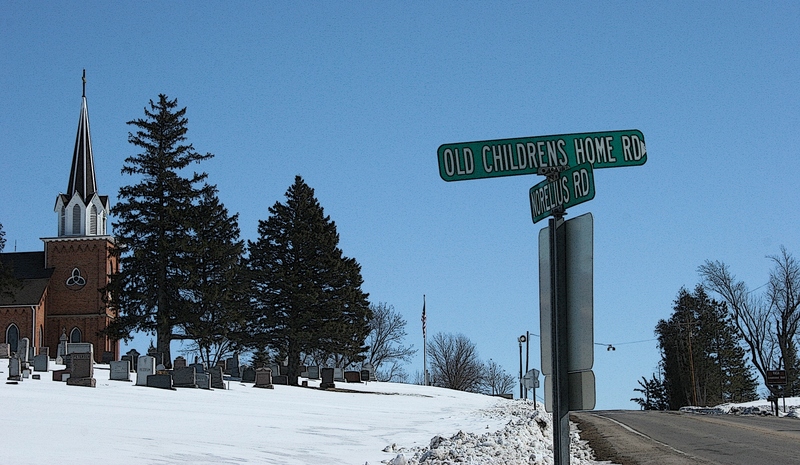 While in Vasa, I spotted an OLD CHILDRENS HOME RD street sign by the church. When Randy turned the car onto that road, he should have kept going. My instincts told me a story awaited us. Instead, we turned into a drive leading around the church. Had we continued along Old Children’s Home Road, we would have discovered the former Vasa Children’s Home built in 1899 and today a private residence. The home opened in 1865 in the Vasa church basement when four orphans arrived in town. This is considered the birthplace of Lutheran Social Services. See what you learn when you detour off the planned route. FYI: To learn more about the history of the Vasa Children’s Home, click here. To learn more about Vasa Lutheran Church, click here. For historic info on Vasa, click here. Also click on the highlighted phrases within the post for additional information.